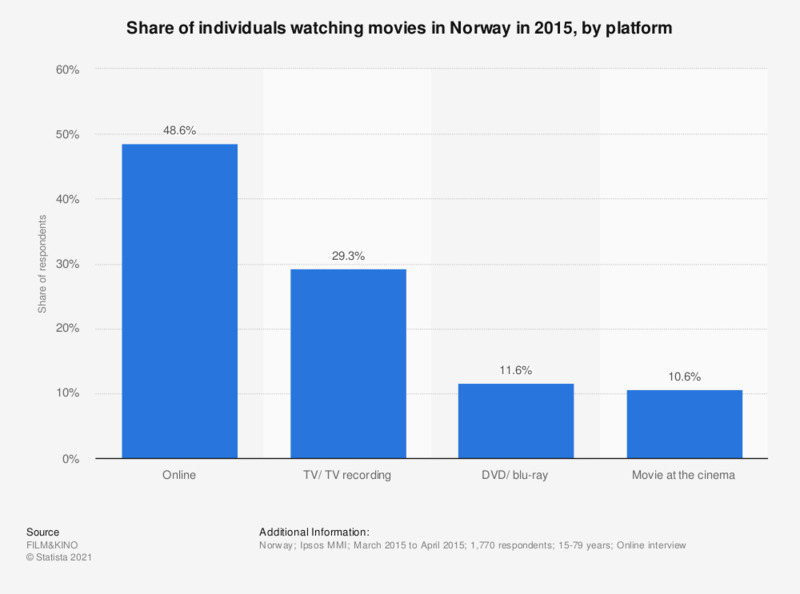 This statistic shows the share of individuals watching movies in Norway in 2015, by platform. During the survey period, 10.6 percent of the Norwegian respondents stated to watch movies at the cinema. Which of the following are the main ways you watch movies at home?